The members of the Bare Minimum Track Club established an annual donation to the Greenville Track Club-ELITE post-collegiate training/competitive program in honor of their long-time friend and teammate Darrell Jennewine, who passed away in November, 2013 after a courageous battle with lung cancer. Darrell, in his role as GTC Administrator, was instrumental in developing support from the Greenville Track Club for the ELITE program. Jennewine's many accomplishments included establishing the Greenville running festival which is the Spinx Runfest, which he and a few others visualized after participating in various events around the world. The late Dr. George Sheehan, acknowledged the BMTC in an article published in Runner's World. It now appears that other runners have discovered that “less is more.” The Bare Minimum Track Club in Greenville, South Carolina, has followed a program much like mine with considerable success. Their two main ingredients are a long group run on the weekend and a track workout Wednesday night. Members have done measurably better in both the 10-K and the marathon despite reducing their mileage to about 30 per week. In general the BMTC sponsored two runs each week. One at a track on Tuesdays for intervals and beer following in BMTC headquarters. Also early Sunday mornings for a longer run of 6- 10 miles which usually convened in front of the art museum. They raised money from many donors and sponsored a number of trips to marathons in NY and London where they had group dinners, uniforms, etc. In all these trips many of the members had goals and training to run sub 4 hour times, which many frequently did. Glenn Hilliard remembers that "training was minimal but precisely calculated to deliver!" Hilliard also remembers, "The 10K goal for some of us was to run under 40 minutes and for some the 39 min 99 second concept was invented, proudly achieved and accepted as meeting the goal. By the way at one of the first Reedy River Runs Bubber and I both clocked a sub 40 (39:58s). We were not over-achievers!" 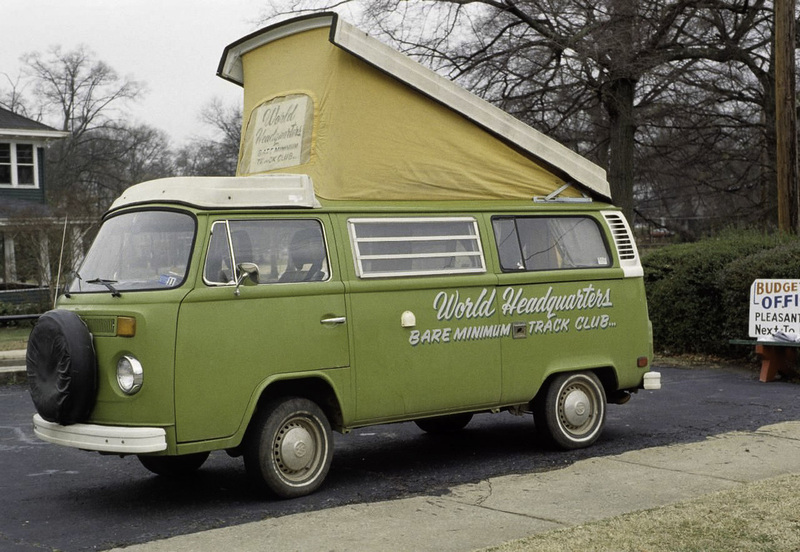 Hilliard continued, "In a News Piedmont Run the World Hdqtrs (a VW van with BMTC World Headquarters painted on each side) was parked right near the finish line. Doug Nelson had given us single digit numbers and we were each recognized and announced as we crossed the finish line. Following that run we were approached by an attractive young lady who admired our uniforms and low numbers and expressed an interest in the BMTC. She was invited to join us for a tour of the World Hdqtrs which Bubber told her was just around the corner which she thought was hilarious but which invitation she politely declined."